So far we’ve had a very mild (wet, and wild!) winter – there may have been a second frost in the garden whilst we were away over New Year, but other than that it has just been dank and damp. Traditional winter crops for the vegetable garden include some very hardy plants (lots of brassicas! ), but many of them are also very large plants that are in the ground for a long time. They’re great if you have a large garden or an allotment, but they can be tricky to fit into a smaller space. I generally try to find space for one or two purple sprouting broccoli plants (more on that in a couple of months), because they’re my favourites. But the unsung heroes of the Glutbuster winter garden (where we aim for continuous, small and tasty harvests!) are much easier to grow, crop over a long period, and don’t take up much space: leeks. Leeks (Allium ampeloprasum) are traditionally grown from seed, sown in March and April in the UK (early and mid spring) either in trays or in a seed bed, and then transplanted to their final growing position in early summer – spaced 15 cm apart, each leek seedling dropped into a 15 cm deep hole that has been created with a dibber. The holes aren’t backfilled; the leek seedlings are simply watered in, and then they will fill the hole as they grow. This creates an underground, ‘blanched’ white portion of beneath the green leaves at the surface. Although commonly referred to as a stem, it’s really a bundle of leaf sheaths, and that is the part that we eat. Leeks come in a variety of shades of green, from light to dark and right into ‘blue’ and even ‘purplish’ colours. If you want your edible garden to be ornamental then pick a mixture of colours and design an aesthetic planting combination. Healthy leeks are attractive plants, standing tall in the depths of winter and not wilting in the cold weather. Different leek varieties also have different harvest times – if you plant a selection you can be cropping leeks over a long period, from late summer right through to the following May. It’s hard to get fed up with leeks, as they are so versatile in the kitchen – as a vegetable in their own right, or as an oniony base for many dishes. You can even cook them on the BBQ. If you want a selection of different varieties, then consider swapping and sharing with neighbours, so you don’t have to buy lots of packets of seeds. 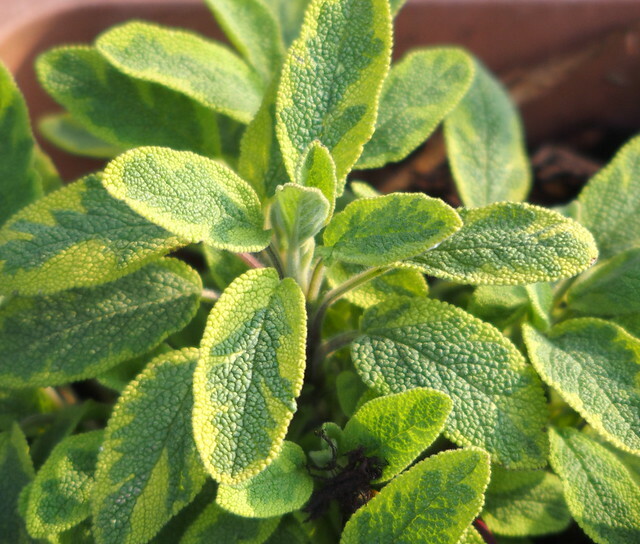 Check the sowing instructions for the varieties you buy, as you may be able to sow them in batches – the first sowing early and indoors, followed by a second sowing outdoors later on. This should stagger the harvest, even from one variety. You can also buy leek plants ready to plant, which cuts out the seed sowing stage and frees up space in very small gardens. You can choose to buy a single variety, or look for a mixed pack such as the Leek Plants – Autumn Mix from Suttons, which crops from September into late winter. The standard spacing given above gives you full-sized mature leeks. You can plant yours closer together if you want an early crop of mini leeks, right down to 2cm apart – cram them in and harvest them young! Or, plant your leeks close together and harvest every other plant as you want to eat them – you’ll have an early harvest of baby leeks, with the remaining plants given more space to mature to full size. And leeks are happy growing in containers, although you’ll need as deep a pot as possible to get that nice long section of white leaves. Leeks are biennial plants. If you leave on in the ground too long, it will flower. It’s no longer good to eat, but it will be very popular with bees and other beneficial insects! And leek flowers are surprisingly beautiful, being related to the ‘more ornamental’ alliums we grow as flowers. So if you do get fed up of eating your leeks, leave them be and mentally transfer them to the ‘flower’ category. Your leek flower will also set seed, and you can save those for replanting. They may also grow what looks like ‘grass’, tiny little leeklets growing right out of the flower head, which are also known as ‘pips’ or ‘bulbils’. Gardeners who wish to grow giant leeks for exhibiting tend to propagate their varieties by collecting and planting the pips, which are clones of their parent and thus guaranteed to keep their exceptional qualities. I keep meaning to try this one day, but I haven’t managed it so far! When cooking leeks (and the white parts can be eaten raw, if you want to try it! ), the important thing to remember is that they grow underground and can get gritty – you need to wash them thoroughly to ensure that you don’t get a mouthful of dirt when you eat them, but it’s not too much of a chore. Usually only the white part of the leek is used, but thrifty gardeners can make use of the green parts of well. One obvious choice is to use them to flavour vegetable stocks, but there are other options. Check out Cooking Leeks: How to Cook the Green Parts and 7 uses for leftover leek leaves for more suggestions. And, if you’re really going for ‘root to shoot’ eating in 2016, and aiming to use as much of your harvest as possible, then consider using leek roots as noodles, which sounds like it could be interesting…. There are many and varied edible members of the Allium family – some of which we have already encountered, along with garlic, in the October Glutbusters update. Elephant garlic is A. ampeloprasum var. ampelprasum. Grown in the same was as garlic, it develops enormous bulbs with a milder leek flavour. Think of it as a root leek, perhaps. 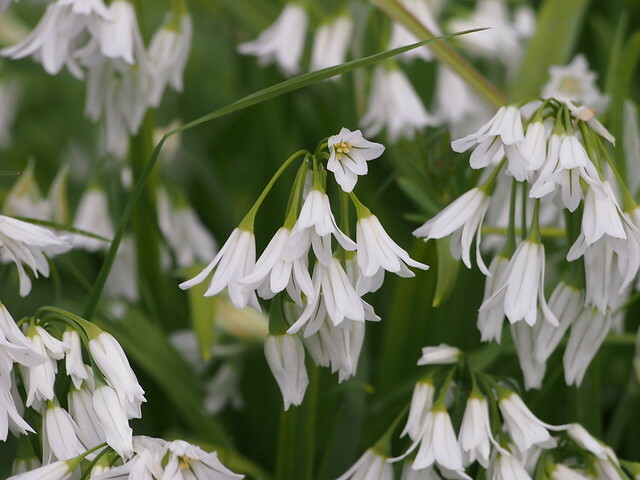 The three-cornered leek, A. triquetrium is a beautiful, edible plant that is common in Cornish hedges in the spring time. So you can see that it can be a little invasive… but it is such a pretty plant that it still deserves a home in the garden (and a careful gardener who keeps it under control by eating it!). Babington’s leek, A. ampeloprasum var. babingtonii is a perennial leek, which grows to form small clumps. You can divide the clump and eat the spare parts as leeks, or harvest the little bulbils – little topset bulbs. It’s a popular permaculture plant. There are other perennial leeks, including A. ampeloprasum ‘St. Victor’s x Oerprei which carry on growing into clumps after they have flowered. You can harvest leeks from the clump, divide the clump to make a new one, and clumps will self-seed and grow over the years as well. There are also Welsh onions (A. fistulosum) and walking/ tree onions (A. proliferum) that are more akin to perennial spring onions. It’s time to get your seed potatoes. You may be lucky enough to have a ‘Potato Day’ event happening locally, when you can go and browse and come home with unusual and heirloom varieties, buying just as many tubers as you want. If not then there will be a selection on offer at your local garden centre, or you can order online. 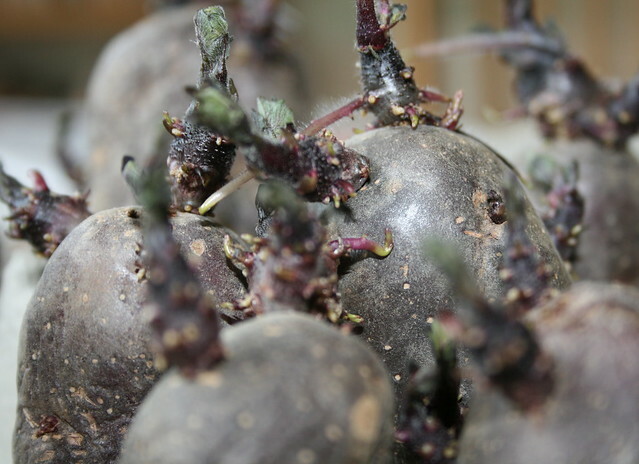 Thompson & Morgan offer small packs of tubers, if you only have a pot or two to fill, or you want to mix and match, including: Charlotte, a popular salad potato, and Maris Peer, which has lovely purple flowers with a delicate scent! Once you have your seed potatoes, you’ll need to sit them on the windowsill to chit until it’s time to plant them out (in late March, early April). Cook the onion, then add the bread, season and add enough stock to make it moist. Put in a greased dish, add a bit of grease on top. Cook in the oven with your chicken, or in a fairly hot oven (to make the top crispy) for about half an hour. If you’re not a vegetarian then it’s nice to throw in a little chopped bacon; my dad tends to throw in leftover sausages as well if they’re hanging around! Although your garden may be sodden at the moment, and dry summer weather a distant memory, those days will be with us again before too long. Now is the time to think about water-wise gardening, planning ahead to make sure your water butts are up and running, your soil is in good heart and you have suitable mulching materials to hand. And that’s your Glutbusters update for January! Did you know there’s now also a section of basic gardening articles on the website? Do you get away without covering yours? Have to protect mine from leek moth/leaf miner or I have nasty brown pupae in the stems…which is not the nicest surprise! A. ampeloprasum ‘St. Victor’s x Oerprei sounds interesting – do you know where to get them? Mine came from The Backyard Larder, Jason 🙂 Have a word with Alison and see if she’s got any in stock!